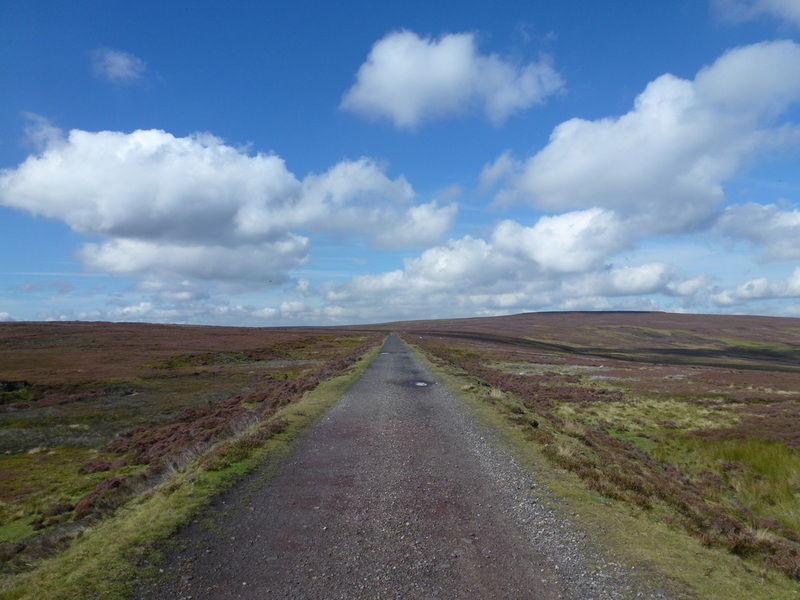 Field paths, high moorland and gravel tracks - there is some rough terrain in the latter stages of the walk between Fat Betty and Dale Head but for the most part the moorland tracks are clear. 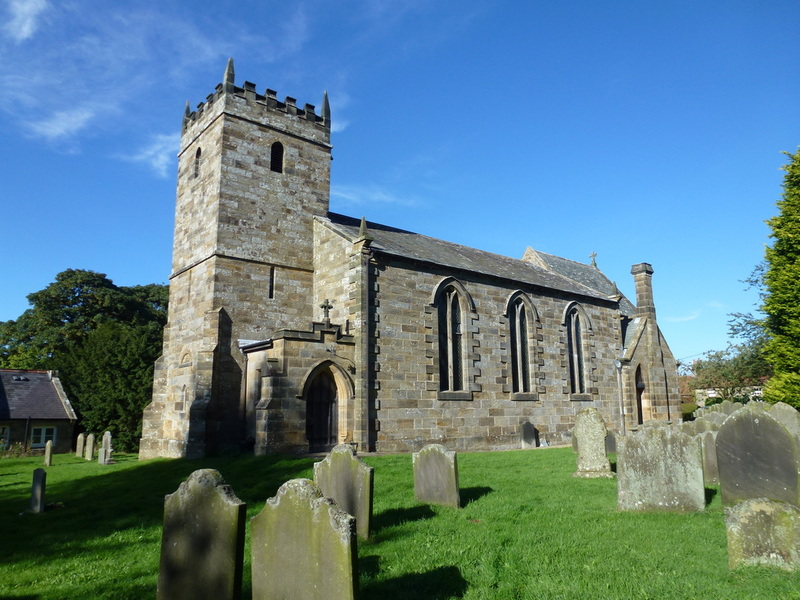 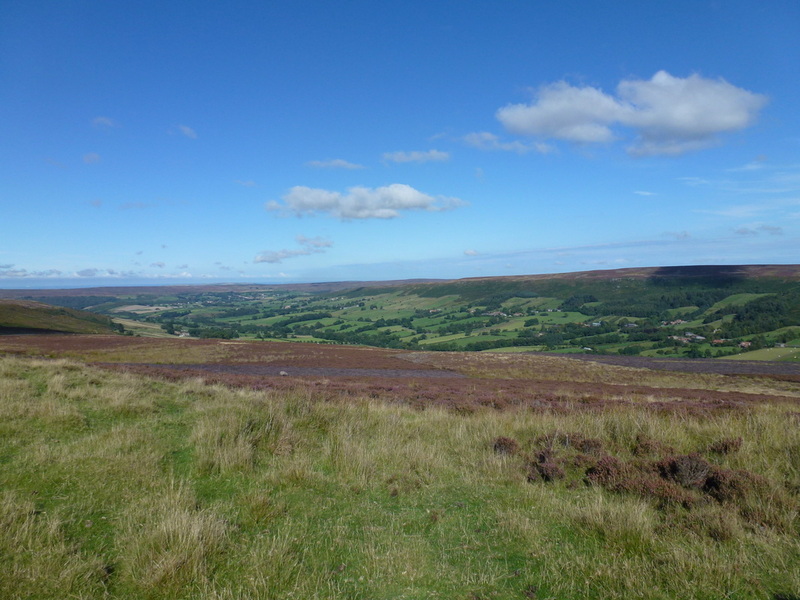 The village of Westerdale is in the northern part of the North Yorkshire Moors National Park and is roughly 25 miles to the west of Robin Hood's Bay. 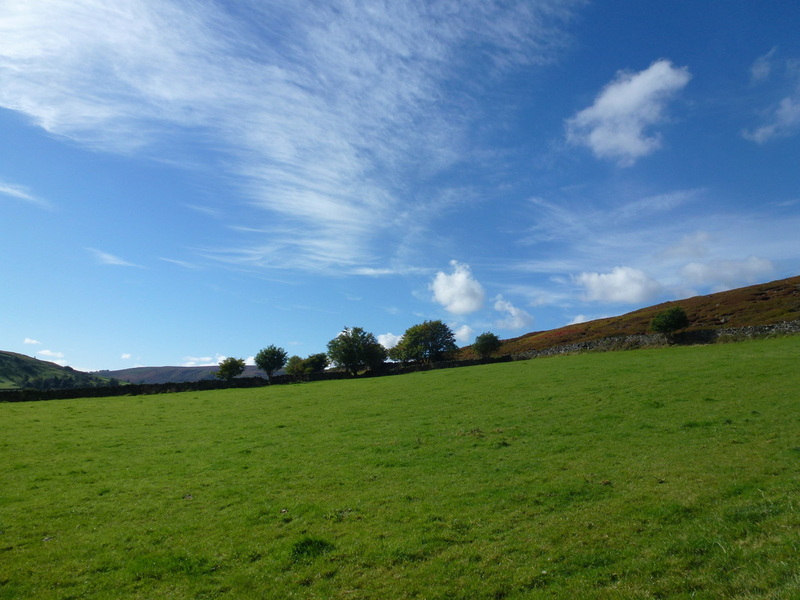 It is a quiet village in the upper reaches of the Eskdale valley surrounded by lofty moorland and has a lonely grandeur. 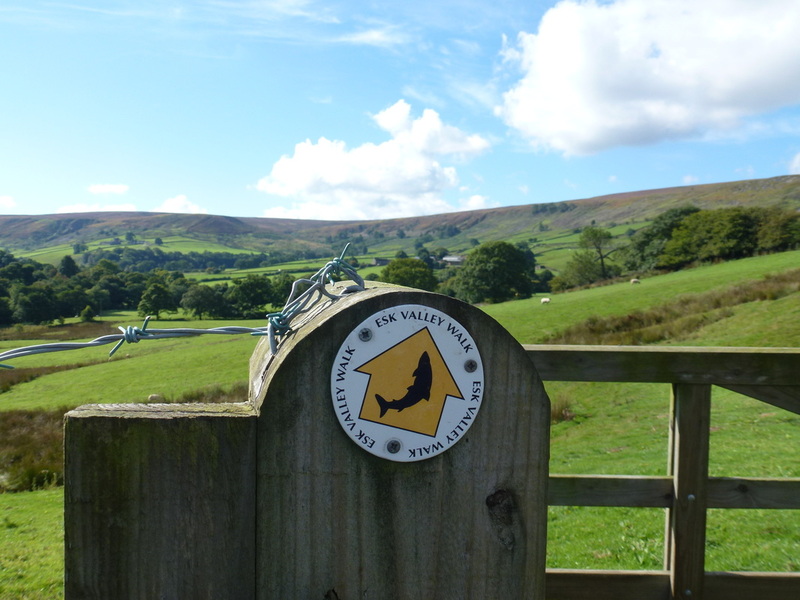 The first part of the walk keeps to the River Esk along the Esk Valley Walk before heading up to meet the track of a disused railway. 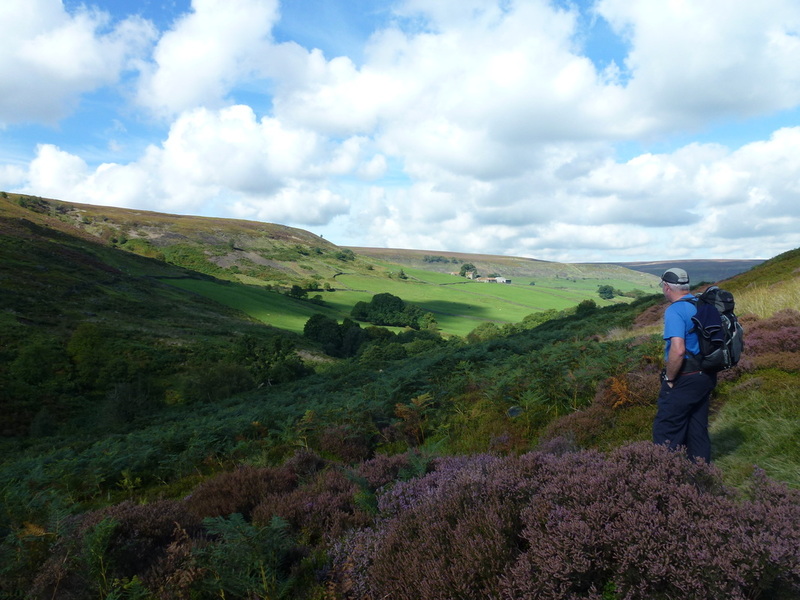 The second part of the walk is around the head of lovely Rosedale returning to Westerdale via some rough moorland and field paths. 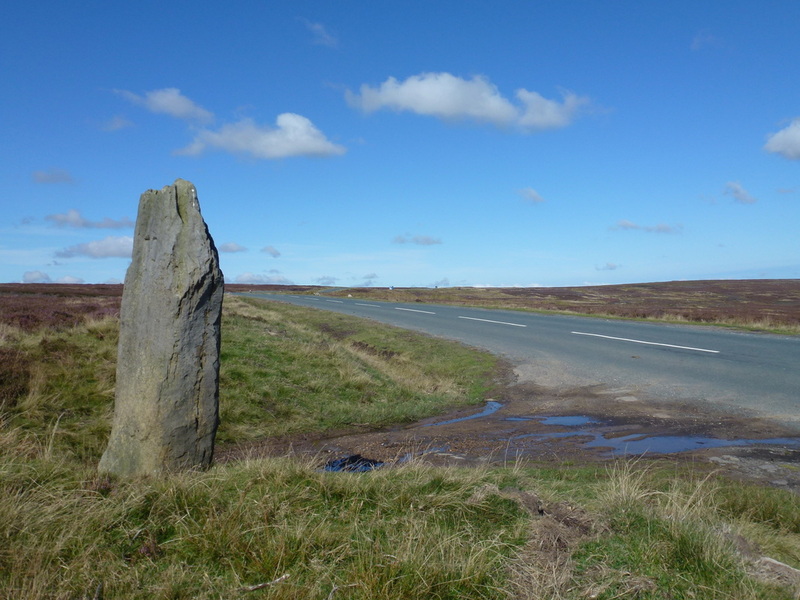 In Westerdale there is plenty of on street parking at no charge. 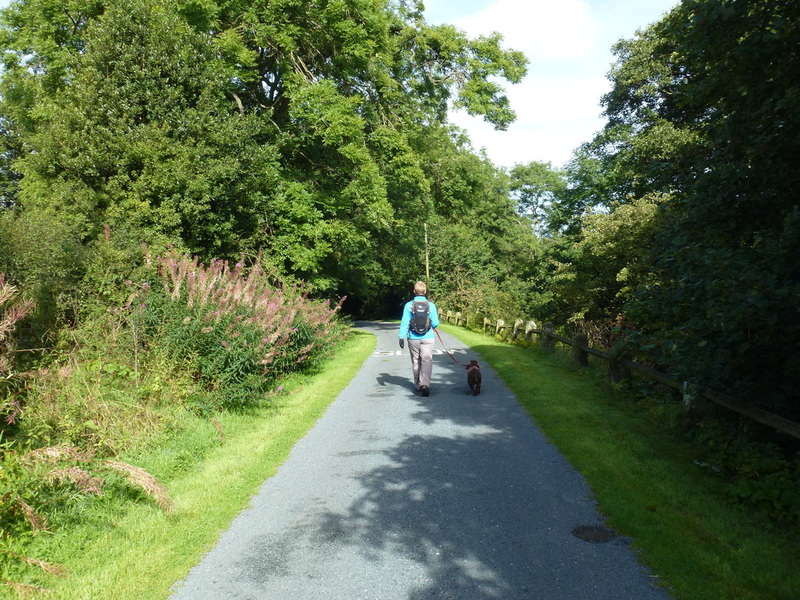 We first completed this walk 4 years ago on a similar day to this - warm, sunny and with little wind to speak of. 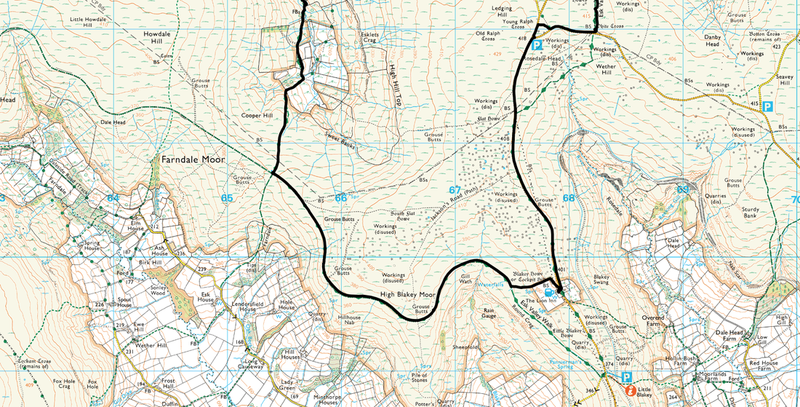 The route leaves Westerdale to the west and heads along a lane that soon becomes a farm track at Hall Farm. 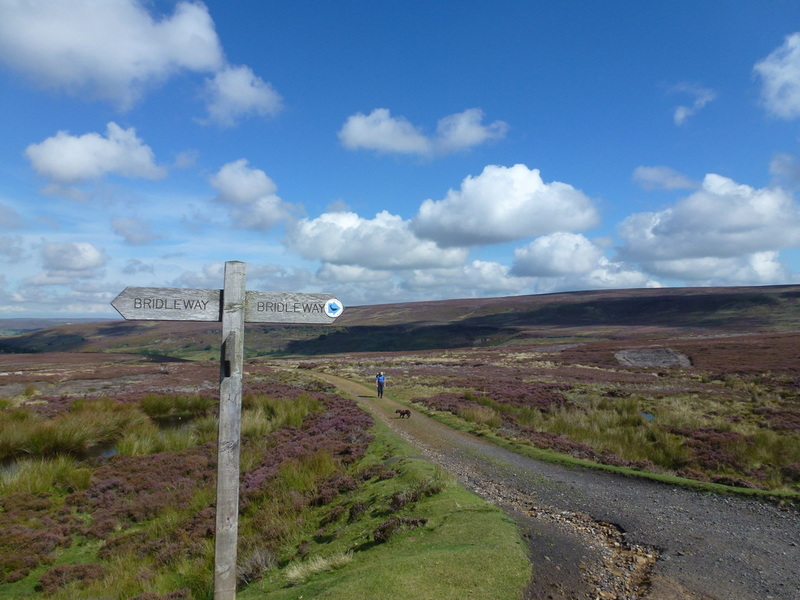 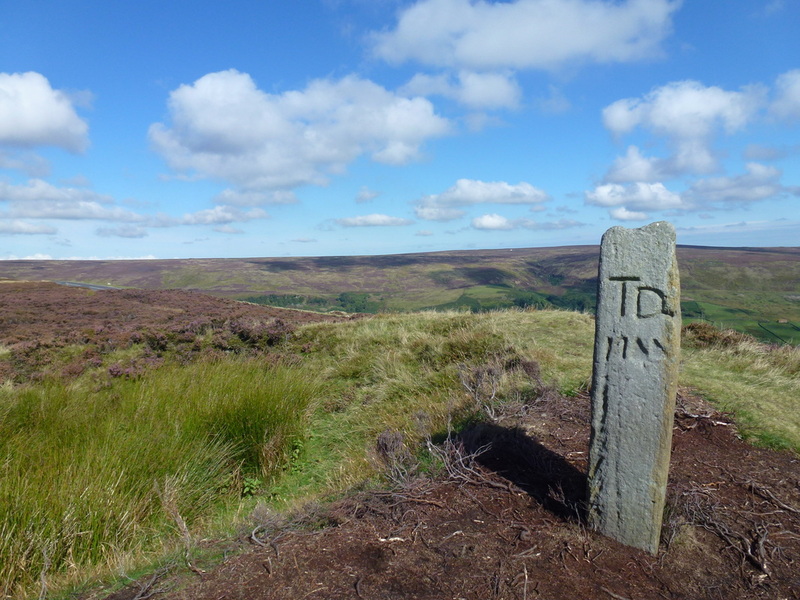 At the end of the track the route joins the Esk Valley Walk - a 37 mile amble following the River Esk from its source high on the North York Moors to the coast at Whitby. 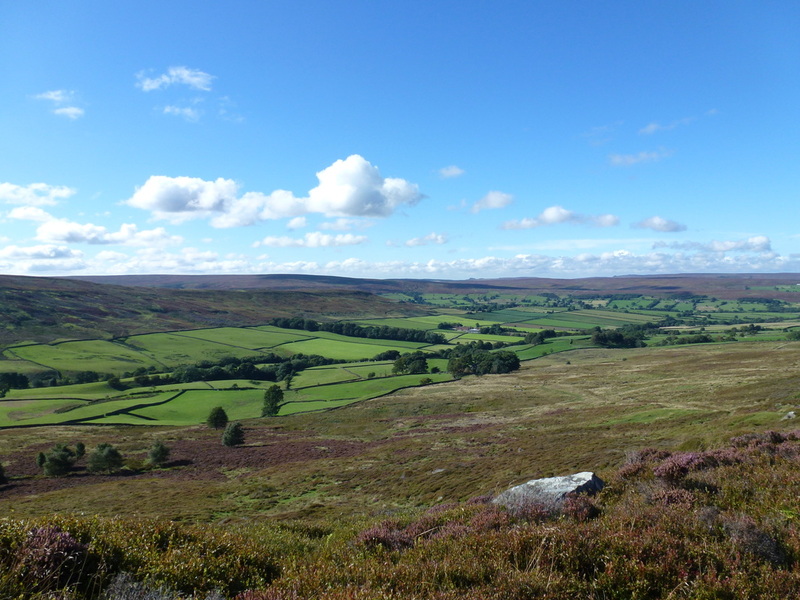 From here the walking remains on a good track which then reaches New House Farm from where the terrain turns to field paths. 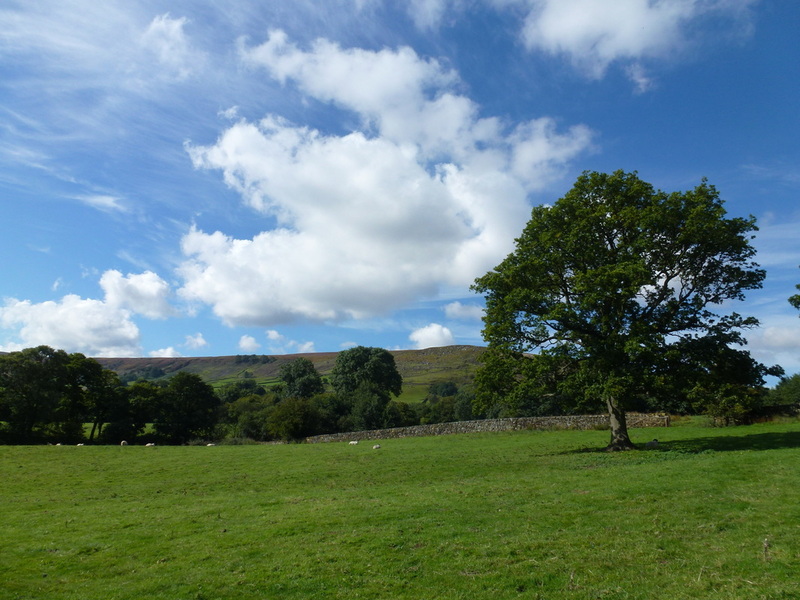 This is a delightful stretch that passes Wood End Farm before opening out on to a beautiful and wild, open landscape below Westerdale Moor. 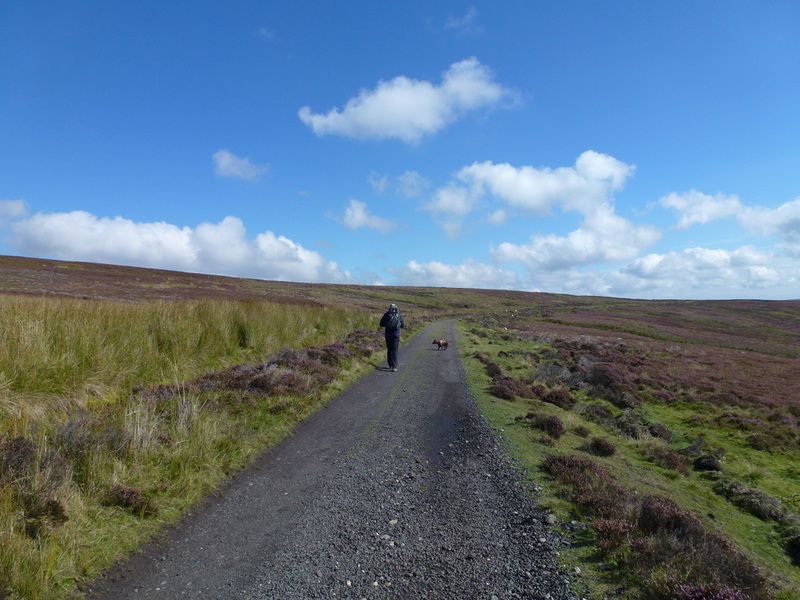 Soon a gravel track is joined which continues south to reach a broad track at the head of the valley. 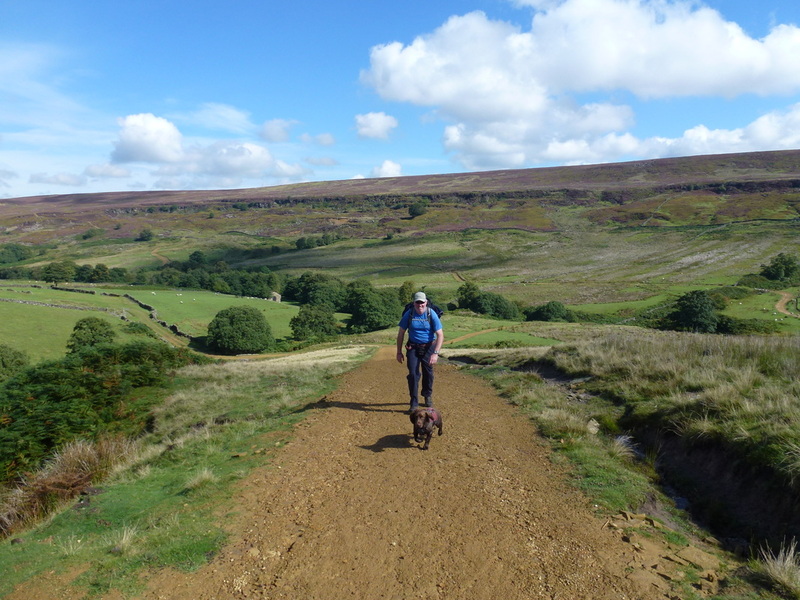 This track-bed is the old Rosedale Ironstone Railway that was built in the 19th century to carry iron ore from the mines around Rosedale to the River Tees. 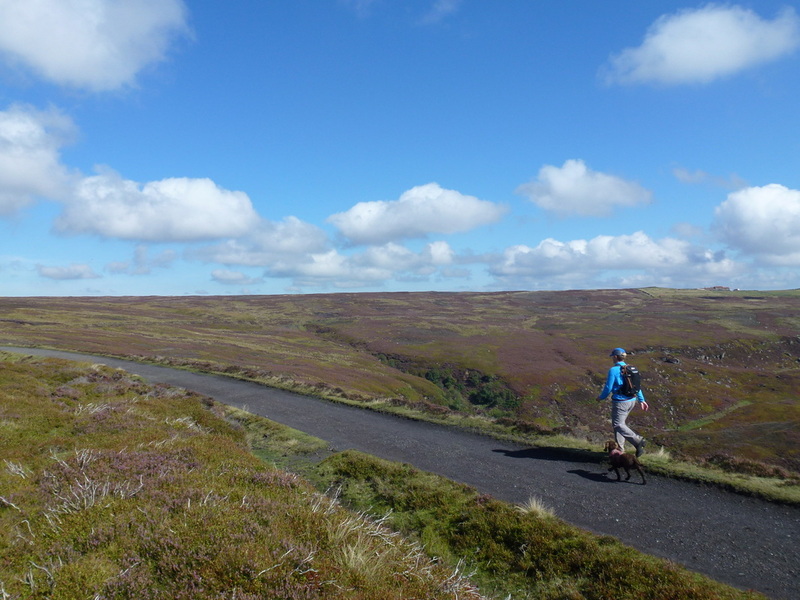 Now it is a delightful high-level moorland route which forms part of the 192 mile Coast to Coast path from St Bees in the west to Robin Hood's Bay in the east and is also one of the easier parts of the Lyke Wake Walk - a strenuous 40 mile challenge, normally to be completed in one day. 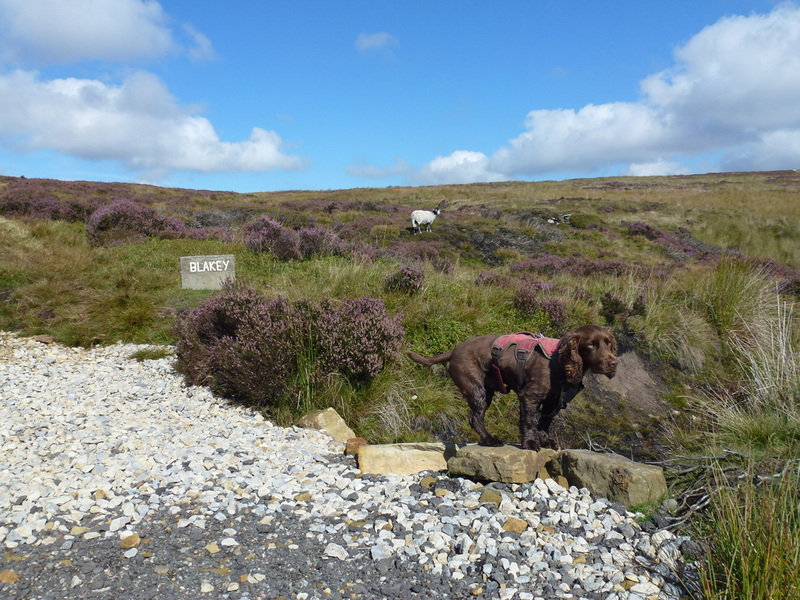 The track is then followed for 2 miles to reach the sanctuary of The Lion Inn up on Blakey Ridge where we stopped to sit in the Beer Garden and enjoy a refreshing drink. 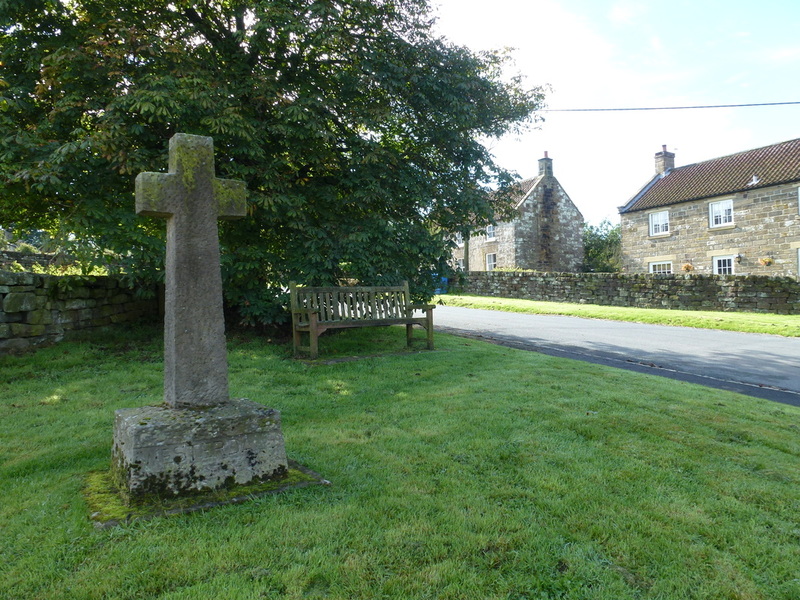 Suitably refreshed, we now headed north along the road to pass two ancient marker stones - firstly the Margery Bradley Stone and secondly the cross known as Young Ralph from where we then headed right to meet the squat White Cross affectionately known as Fat Betty. 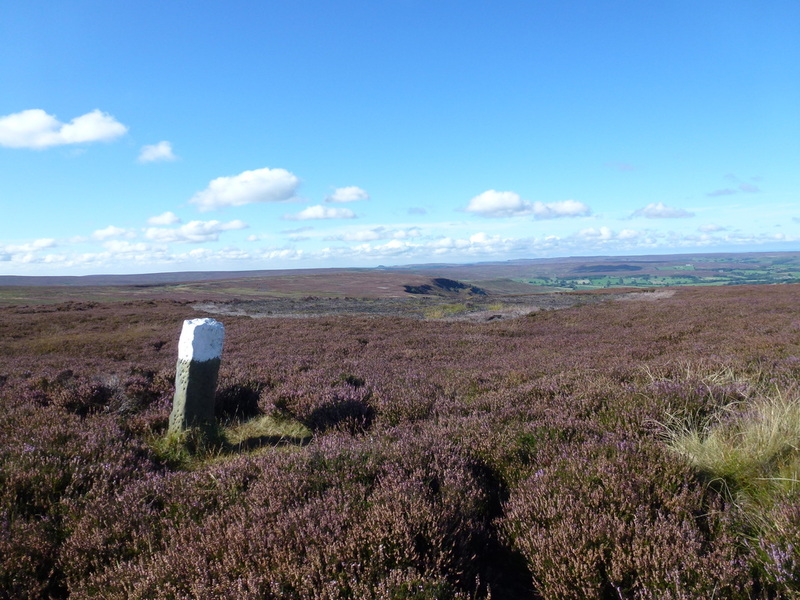 From the cross the terrain becomes more rugged and the path indistinct but is marked by white topped posts and eventually reaches a road. 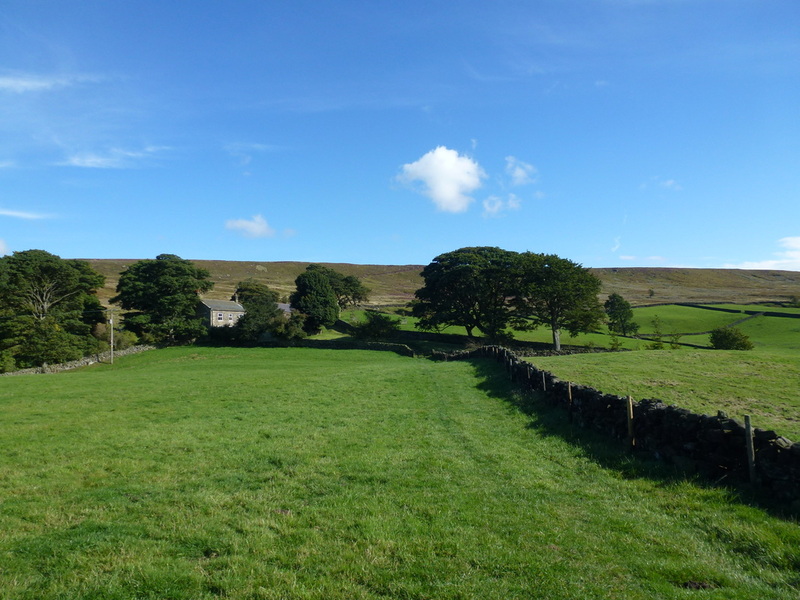 The road is followed for about 3/4 mile to reach a bridleway that descends to Dale Head Farm which sits in an idyllic spot, particularly on a day like today. 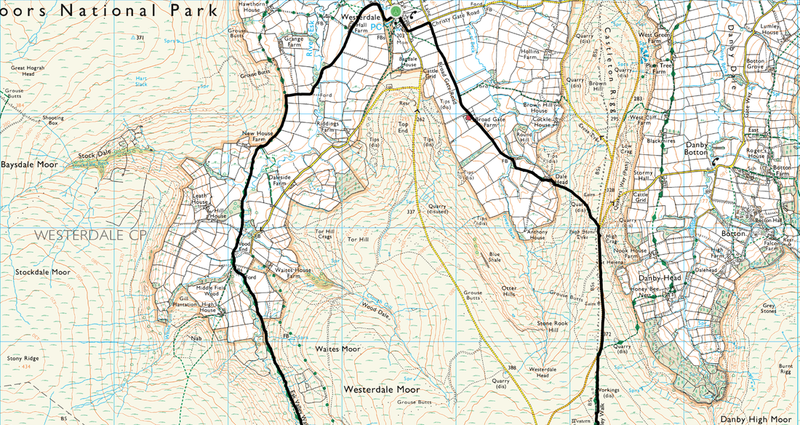 From the farm the remainder of the route passes through fields to reach the farm at Broad Gate and a track that eventually arrives at Christy Gate Road from where there is a short walk to reach the village of Westerdale. 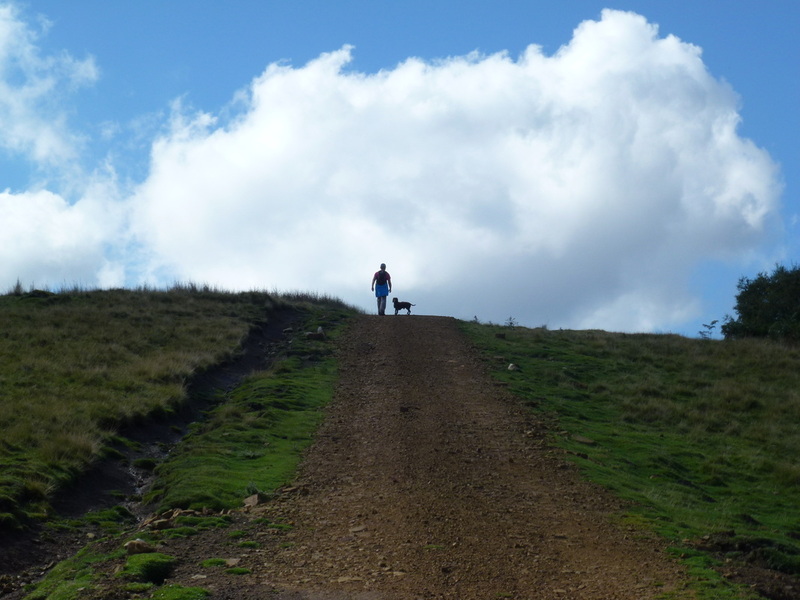 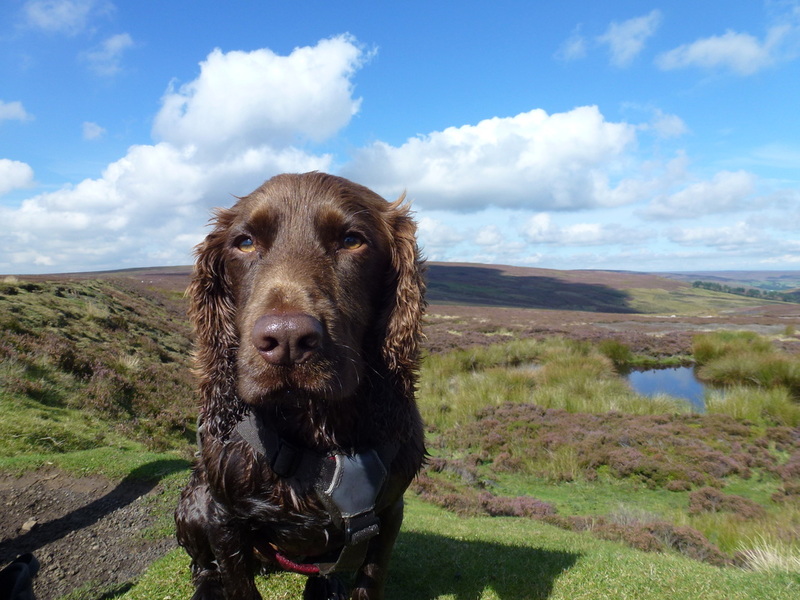 A fantastic day out and a walk we completed in virtual solitude apart from the throng of people at The Lion Inn. 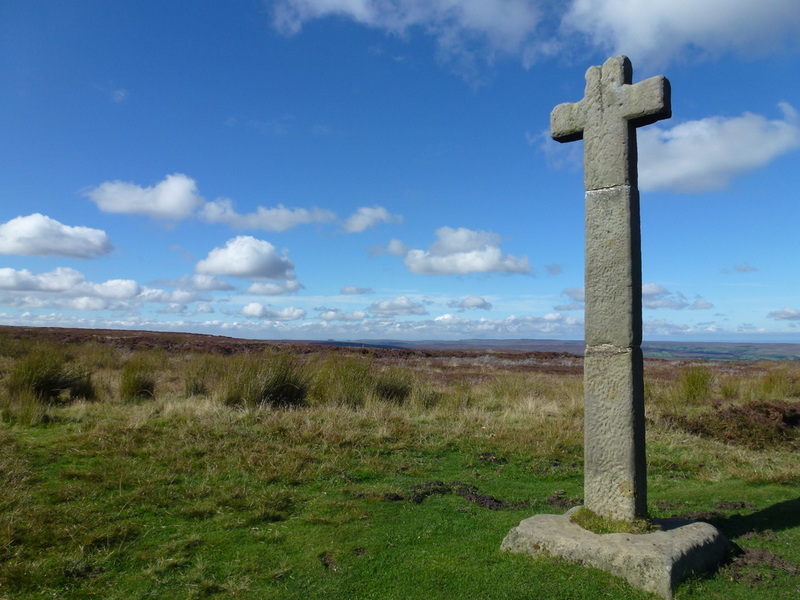 The cross known as "Young Ralph" which stands alongside the road about a mile from The Lion Inn. 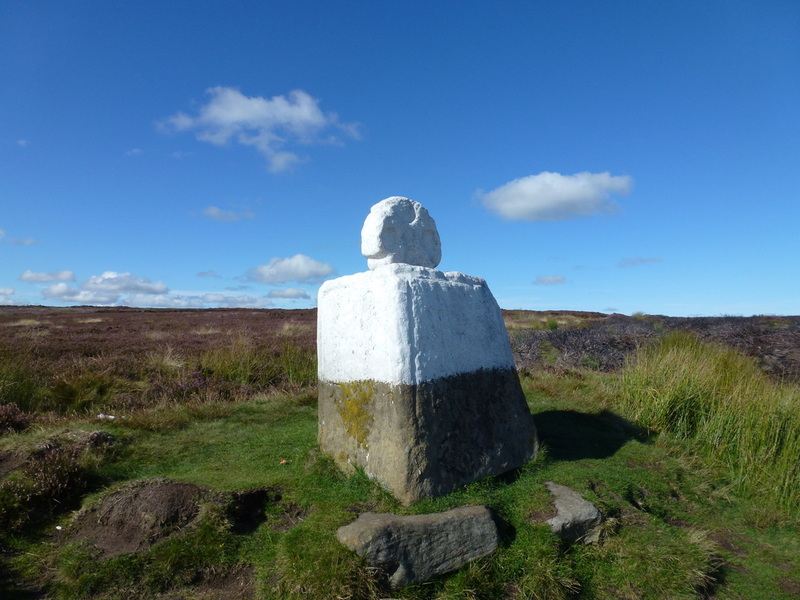 The squat White Cross known affectionately as "Fat Betty". 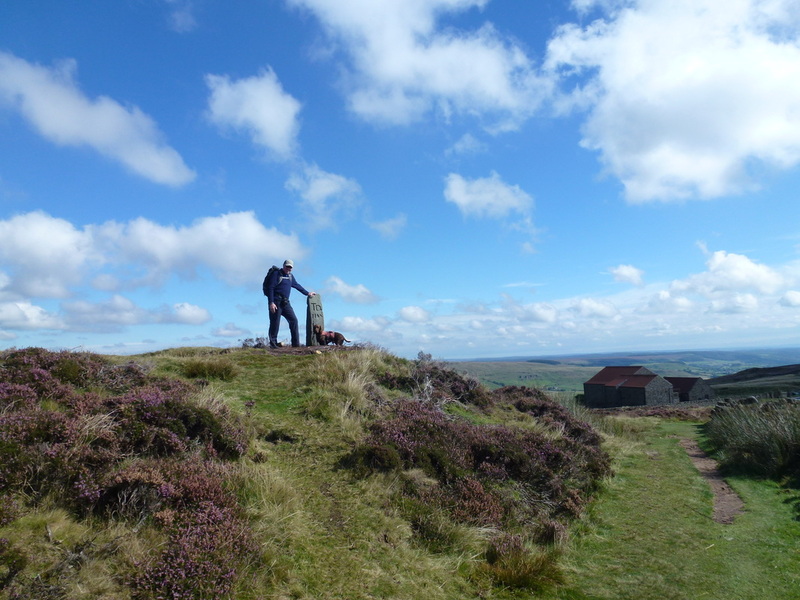 Tradition is to leave a gift whilst taking an offering at the same time. 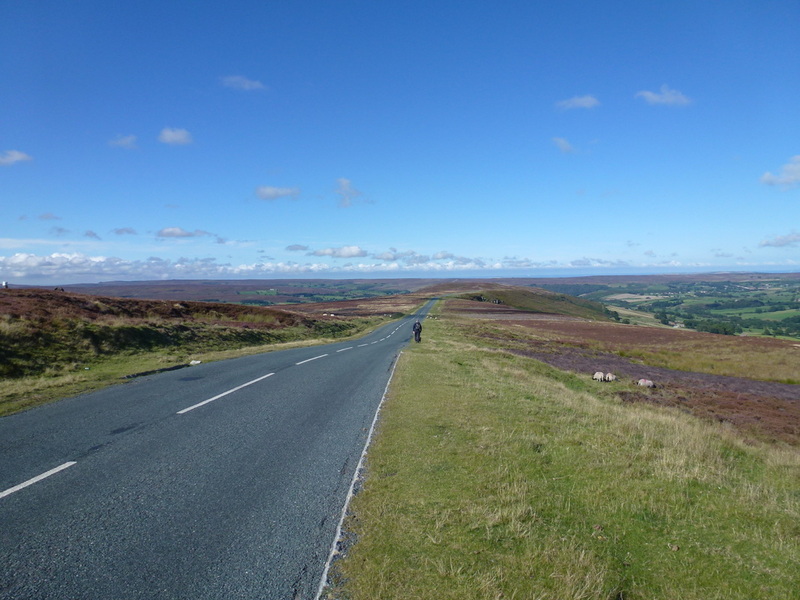 Once the road is reached there is a mile to walk before the route heads back onto moorland again - as you can see the road was not very busy!